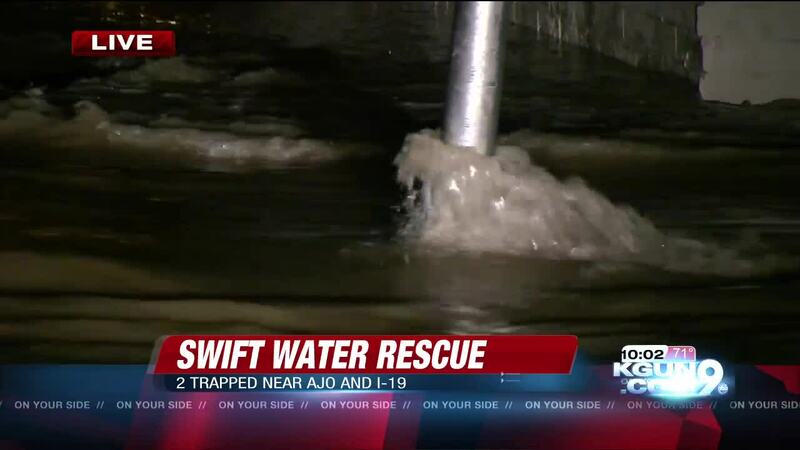 Tucson Fire Department responded to two swift water rescues near I-19 and Ajo on Friday night within 20 minutes and a half mile of each other. 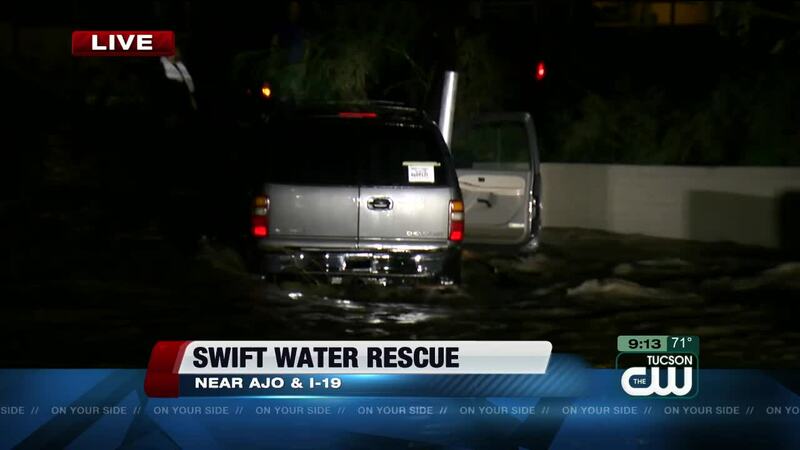 An SUV with two occupants got swept away near Rodeo Wash Park and they called 911. Once responders were on the scene they told the occupants not to jump out of the car into the water and wait for a ladder to climb out onto. The two people were able to exit the SUV using the ladder. Both people are safe and were taken to the hospital as a precautionary measure. Crews also responded to a separate swift water rescue near Pennsylvania and 13th. The occupants were checked on but did not require any medical treatment. At least six other calls were reported during the storm involving stranded vehicles. The Tucson Fire Department wants to remind the public: When in doubt, wait it out!